Rosa ‘Louis Riel’ – a real gem found at the Saskatoon Forestry Farm Park and Zoo (Saskatoon, Saskatchewan) in July of last year. Love the blue-green foliage and the pure white single flowers! I’m not quite sure what the tag-along insect is on the uppermost bloom. This entry was posted in Botany, Flower, Gardening, Horticulture, Outdoors, Photography, Plant and tagged Canada, Flowery Friday, Flowery Prose, Friday, Louis Riel Rose, Rose, Saskatchewan, Saskatoon, Saskatoon Forestry Farm Park and Zoo. Bookmark the permalink. ← Sculpture Garden – University of Saskatchewan. Beautiful flowers, have a wonderful holiday weekend. I hope your weekend was lovely as well! Beautiful photo! I can’t quite make out the insect either. I can’t recall if they were fragrant…I saw (and smelled) a LOT of roses that week! 🙂 I hope you had a wonderful Easter! A wonderful rose ! I don´t know about the insect, it´s a bit spider like. Definitely a stunning bloom! I think you might be right about the critter being a spider, it’s a bit of a tricky view. I hope you had a lovely weekend. Lovely! 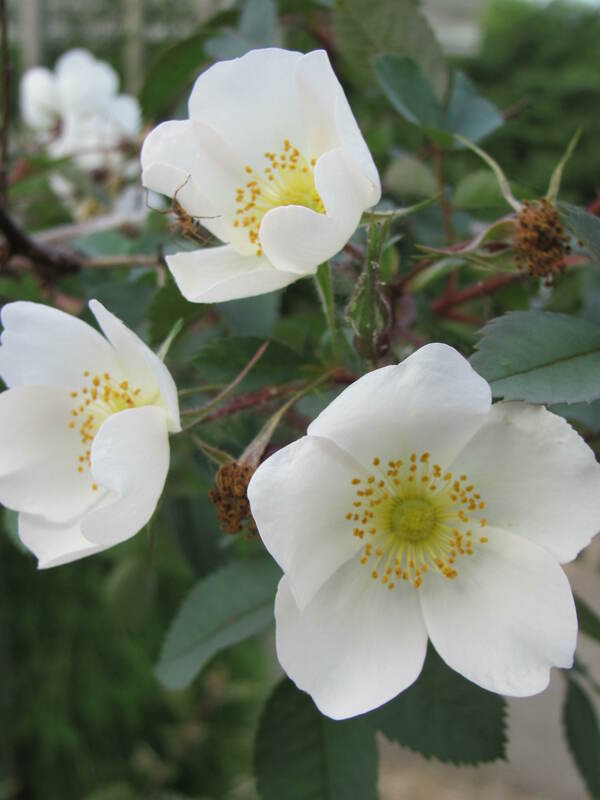 I am looking forward to seeing the wild roses bloom again this year! Have a lovely Easter weekend Sheryl! Ah…it still feels like it will be forever until the wild roses bloom! 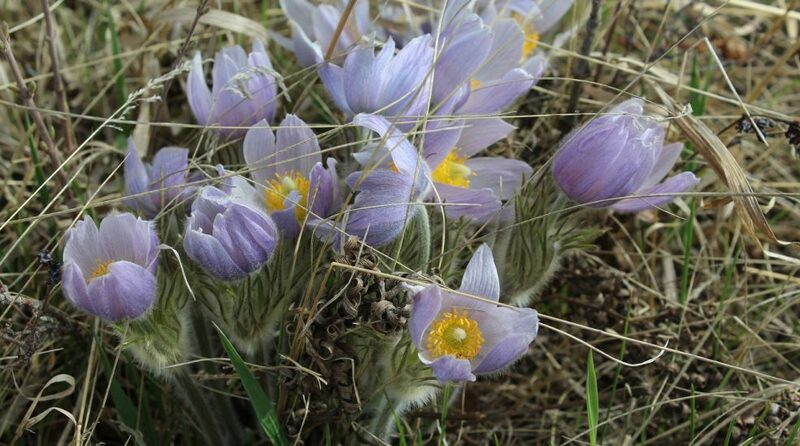 One of my favourite times as well – they are such exquisite flowers! Hope your Easter was wonderful as well. I couldn’t believe you had flowers already but then I saw the photo was from last summer! I hope you had a beautiful, peaceful Easter. So lovely to see roses during this chilly Easter weekend! Happy holiday! My thoughts exactly…we seem to be getting more snow now than we did the past two months! I hope you had a wonderful Easter despite the weather. Thanks so much for the follow – I’ve really been enjoying the photos on your blog and I’m glad to have found it! Thanks so much for your follow! Have a wonderful week! You are so welcome and I love your photography-makesme smile. This is a beauty, Sheryl. Well done. This is so lovely, Sheryl! Thank you. I’m glad you liked it, Cynthia. Hope you had a wonderful Easter. Exactly the kind of rose I like best, single-blooming and white. What a lovely pristine flower! I love glaucous foliage and I bet this would look fantastic grown with the pink single Rosa glauca; I wonder if it can tolerate a bit of shade, as R. glauca does?